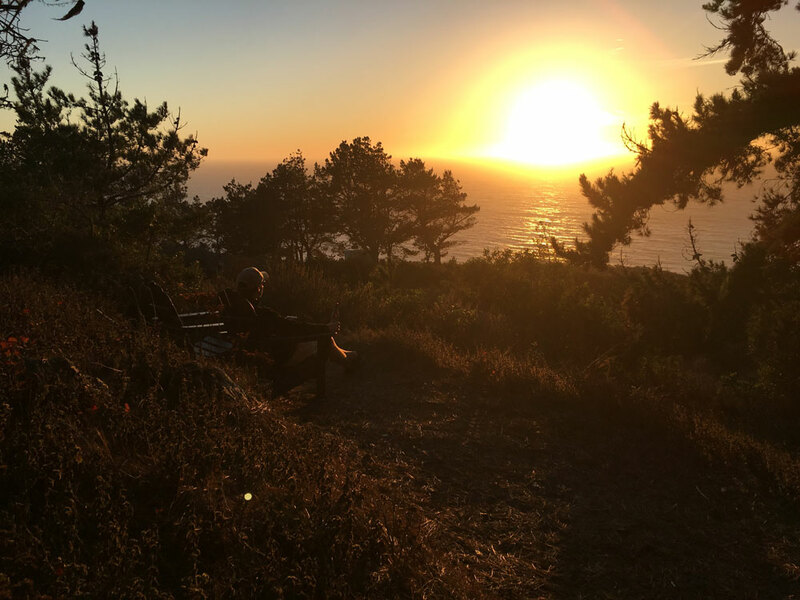 Not long ago, Amy Trum and her husband traveled the 325+ miles of California coastline from San Francisco to Santa Barbara. 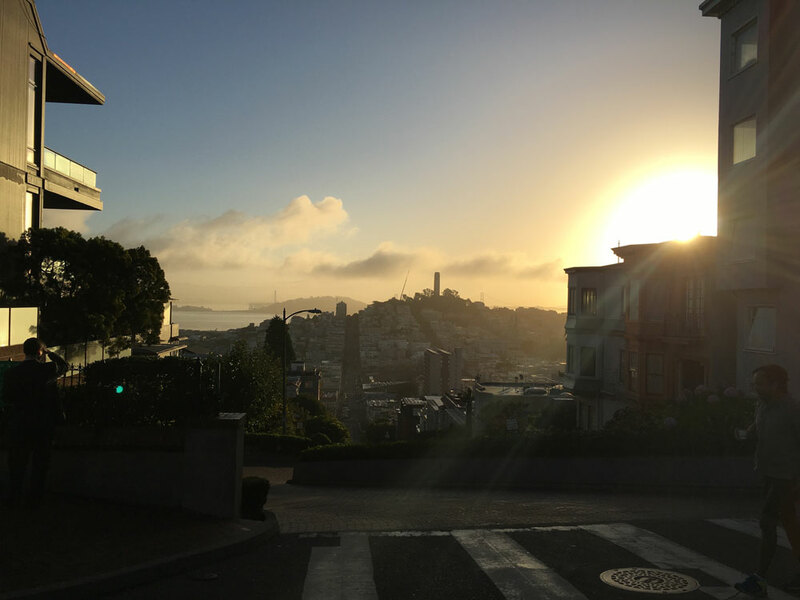 Day one of their journey began with an exploration of the San Francisco waterfront and other parts of the city. On the next day, they very energetically biked across the Golden Gate Bridge to Sausalito! 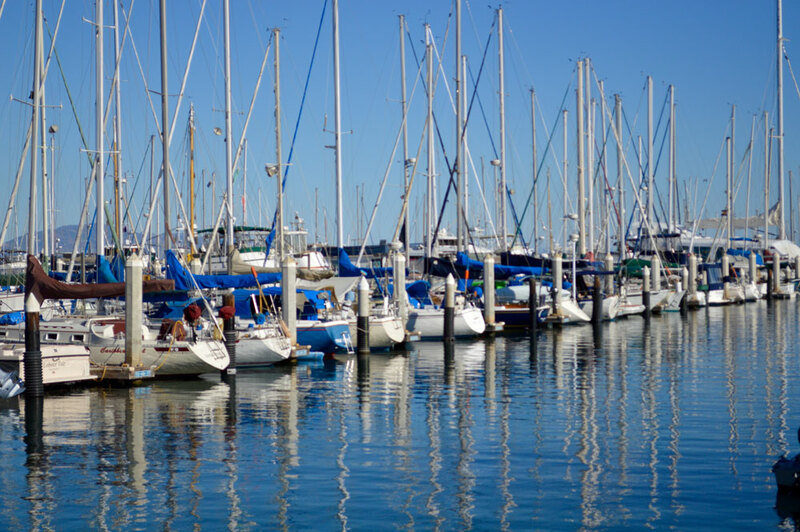 The remainder of the trip was spent exploring Carmel-by-the-Sea, Big Sur, and Santa Barbara. What follows are a few highlights of their trip. Standing atop Lombard Street looking east. The skinny building on the rise in the background is Coit Tower. 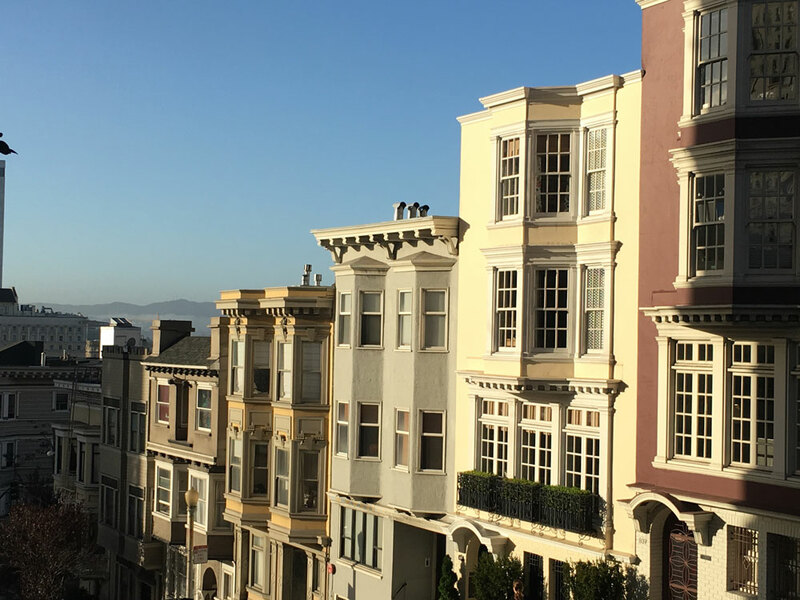 Although San Francisco seems most noted for its Victorian style homes (think “Painted Ladies”), many of those were demolished in the 1906 earthquake. When the homes were rebuilt, the Edwardian style had come in to fashion. While still opulent, this style had notably less ornament than the Victorian. 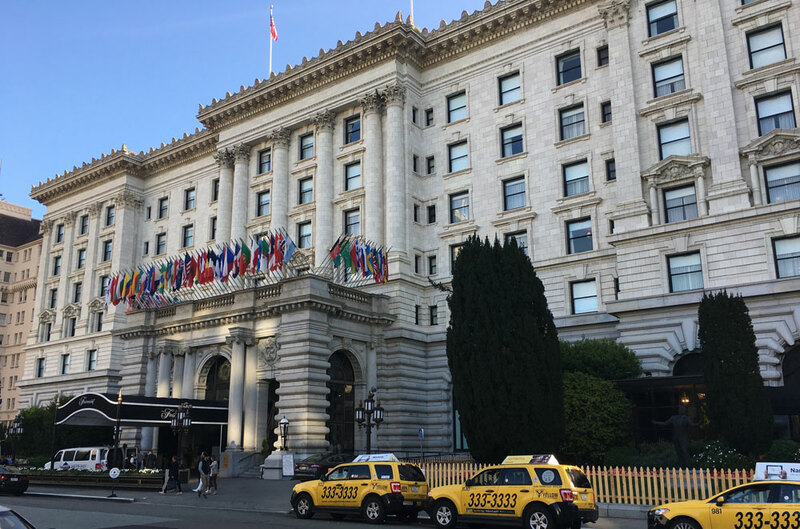 The Fairmont Hotel had been completed at the time of the 1906 earthquake but had not opened. Although the building survived the initial shock, fires resulting from the earthquake destroyed most of it the next morning. Julia Morgan, the first female graduate of the École des Beaux-Arts in Paris and one of America’s preeminent female architects, was hired to restore the building. The hotel would re-open exactly one year later. 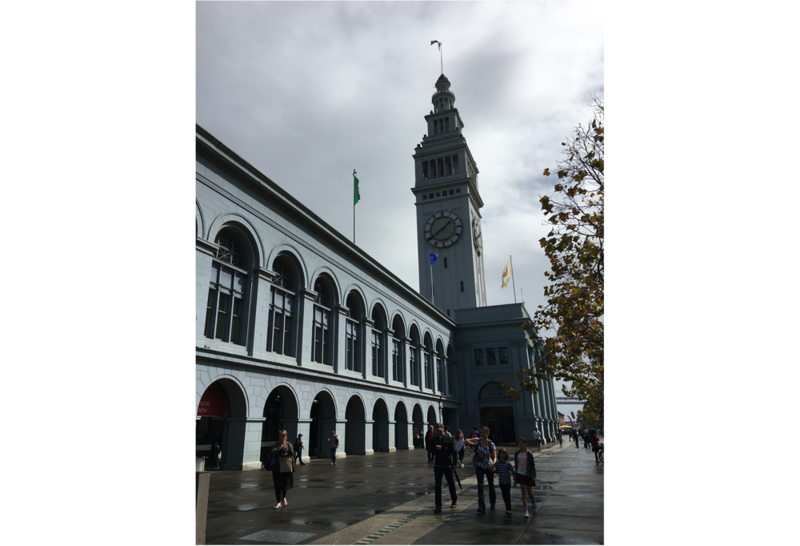 The Ferry Building is located along the eastern waterfront of the Port of San Francisco and opened in 1898. Until the opening of the Bay Bridge and Golden Gate Bridge in the 1930s, ferryboats were the quickest way to reach San Francisco. Therefore, thousands of people passed through the building each day. 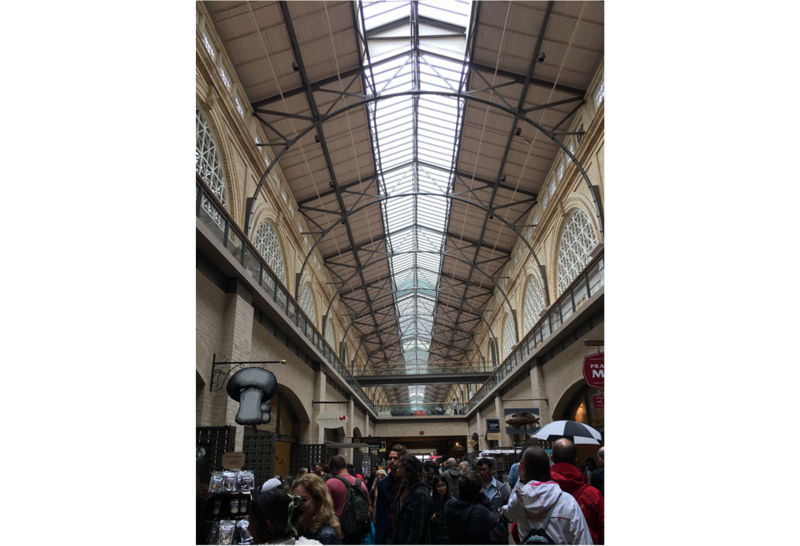 From the 1950s to the early 2000s, the golden age of the automobile, the Ferry Building was left largely as an unused office building. But after an extensive restoration, the building now stands as a renowned public food market. It was designed in the Beaux Arts style by A. Page Brown, who began his career with McKim, Mead & White. 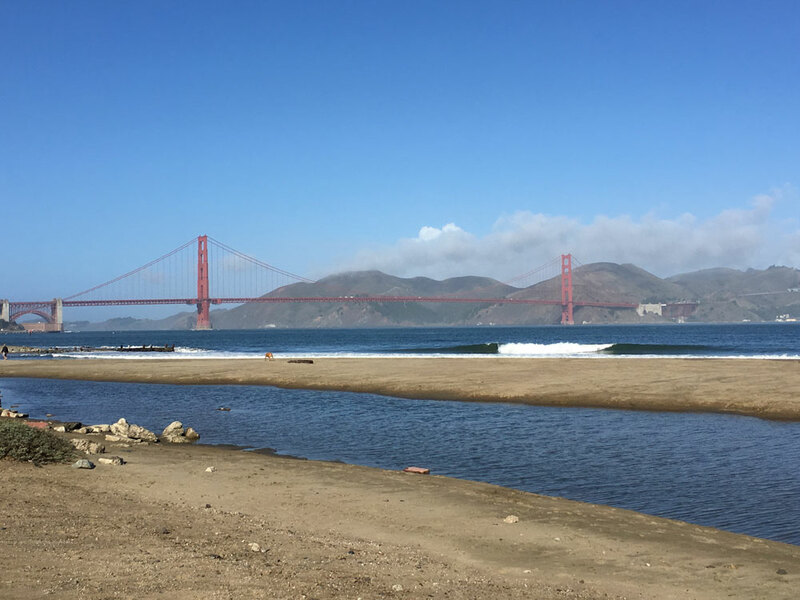 Fun fact about the Golden Gate Bridge, one of the most recognizable structures in the world, due in part to its rather conspicuous brunt orange color; the temporary coating meant to protect the steel from corrosion during its journey to the site not only complemented the surrounding landscape, but was highly visible even in fog. This happy accident led Irving Morrow, the consulting architect, to have the bridge coated in a final color resembling the primer. Not only was she impressed by the architecture of Northern California, Amy was equally taken with the rugged landscape. 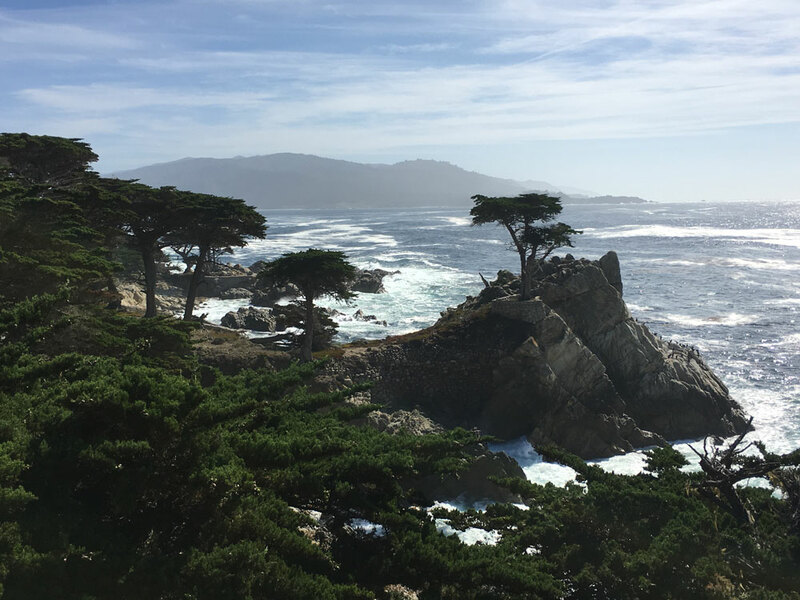 Here you see the Lone Cypress in Pebble Beach along part of the coast known as 17-Mile Drive. 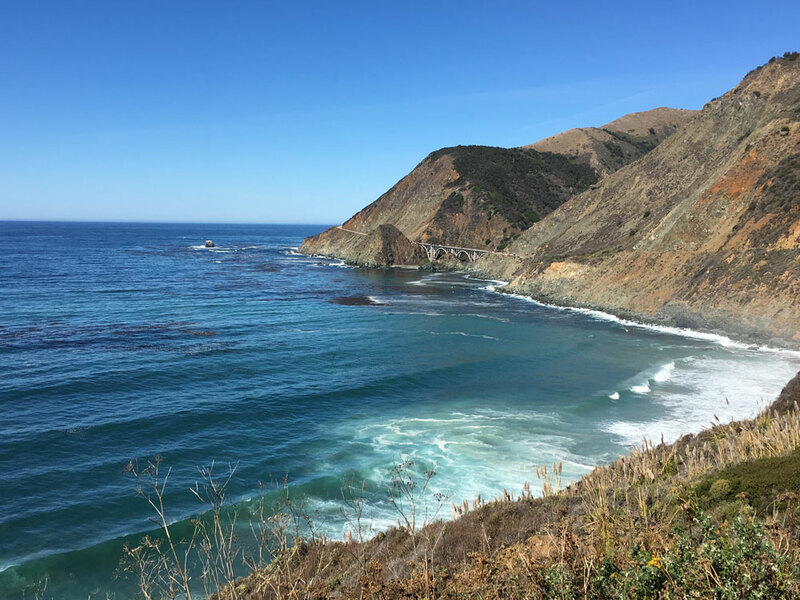 About 120 miles south of San Francisco, the stunning beauty of the Big Sur coastline and the steep walls of the canyon through which Bixby Creek runs set off the graceful arch of the Bixby Bridge. 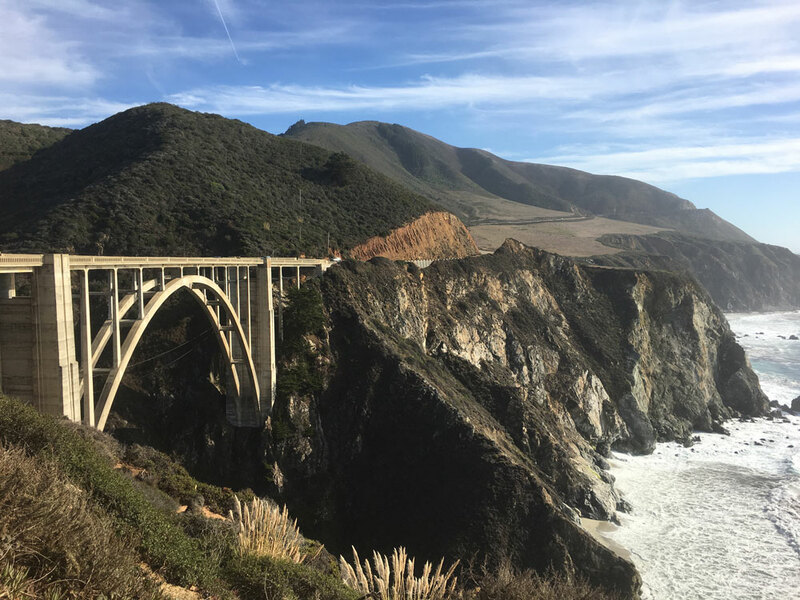 Located on California State Route 1, this is one of the highest concrete span bridges of its kind and one of the most photographed. Big Creek Bridge, not to be confused with Bixby, is a double-arched concrete bridge with half-arch side spans. It is also located in Monterey County on State Route 1.